Sermon preached on Amos 2:4-5 by Rev. 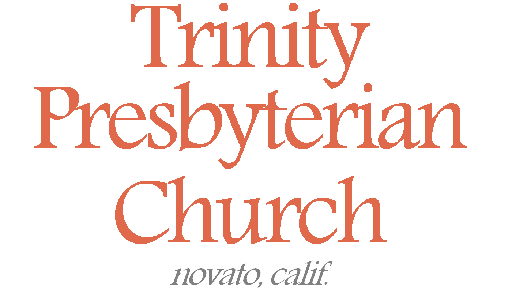 W. Reid Hankins during the Morning Worship Service at Trinity Presbyterian Church (OPC) on 9/24/2017 in Novato, CA. Today we think about this oracle judgment against Judah. This oracle judgment should stand out to you from all the others we’ve studied so far in Amos. We’ve had oracles against Syrians, Philistines, Phoenicians, Edomites, Ammonites, and Moabites. Those all have something in common that Judah did not. Those six nations were all Gentile nations. To say it a more colorful way, they were all uncircumcised heathen. Yet, here God now turns to give an oracle of judgment against people that were supposed to be God’s people; people who were in a covenant relationship with God. Now, remember, Amos was a prophet to Israel, not to Judah. That’s important to remember here. These seven oracles against the nations were being communicated to Israel. I’m sure it would have been prompting applause and cheer from them how God would judge these pagan nations. But now this last one is against their brothers, the people of the tribe of Judah in the south. That being said, I don’t suspect Israel was losing much sleep over this judgment oracle against Judah. In fact, I suspect applause would have also been a common reaction at this point among Israel. Israel and Judah had separated many generations before in conflict and had never been reconciled. War between the two nations was common. And so most Israelites would probably have some sympathy to hear God speaking against their estranged brothers. So then, let me begin today’s sermon by thinking about Israel’s background and history with Judah. Recall that the nation of Israel descended from Jacob who God later renamed to Israel. Jacob had twelve sons which resulted in the nation having twelve tribes. One of those tribes was Judah. These tribes were led out of Egypt first by Moses and then by Joshua. During that time, the leadership of these men were helpful in unifying and organizing the people. Under their leadership, elders were established among the tribes to provide local leadership as well. Well, after the twelve tribes finally settled into the Promised Land, at first the political structure was very loose and decentralized. Moses and Joshua had passed away. The people lived divided up in their tribes across the country, without a national leader. The people largely relied on local leadership through elders. Occasionally, as needs demanded, a judge might serve on a regional or national level. We find that history in the book of Judges. But it was during that time of the judges, that the people really struggled with godliness. It became clear that the people could benefit from a king, if the king would lead them in righteousness, to help the people keep their covenant with God. After first, they picked the wrong sort of king, Saul, a king like all the other nations. But then God picked for them King David, a man after God’s own heart. This time of under Saul, David, and then Solomon, was known as the united kingdom. They were referred to as the nation of Israel, and it included all the twelve tribes. Note that David and Solomon were both of the tribe of Judah, and so they had established their capital in Jerusalem, which was in territory of Judah. But after that, is when things got bad. David’s son, King Solomon had been harsh in certain ways to the people. After Solomon’s death, the tribes came to his son, King Rehoboam and asked for relief. They didn’t want the king to put so many burdens and obligations on them. Unfortunately, Rehoboam in his youth answered them harshly, and it resulted in the rest of tribes separating from the tribe of Judah, along with their King from David’s lineage. This is what the people said at that time. “What share have we in David? We have no inheritance in the son of Jesse. To your tents, O Israel! Now, see to your own house, O David!” (1 Kings 12:16). Well, after that, the nation had been split in two. The tribe of Judah which was in the south became its own nation led by a king from the line of David. The remaining tribes which were north of Judah were referred to as simply “Israel.” And so, they were split at that point and remained separate nations for the rest of their individual histories as a monarchy. Sadly, the story doesn’t end there. Not only was their political division, there was war at various times between the two nations. Also, there became religious separation too. The Kings of Israel didn’t think it made sense for Israelites to go anymore down to the temple of the LORD in Jerusalem. They were afraid the people might want to be reunited with Judah, if that were allowed. So, Israel setup golden calves in Bethel and Dan as alternative places of worship. They actually called these idols as the god who brought them out of Egypt. So, they were still claiming to worship the same God, but they were doing it in a wrong way. But I digress. Let me finish this history lesson on Judah that from at least the perspective of Judah, the people of Israel were in revolt. They believed they should be united as one people under the king from the line of David. For example, we see this perspective in King Abijah of Judah in 2 Chronicles 13. There we see King Abijah telling Israel that David’s line is the rightful king because the LORD God of Israel established it by covenant. Abijah accuses Israel there of being in rebellion for leaving and of resisting the kingdom of the LORD. Abijah criticizes them for their idol worship with the golden calves while pointing to how Judah has the Levites and the Aaronic priesthood serving at the temple in Jerusalem. It’s a rather damning case he makes there against Israel. Abijah’s claim is basically that Israel is the wayward and rebellious who’ve gone astray, and Judah is the faithful and obedient and legitimate kingdom of God. Of course, those sorts of statements would surely make Israel all the more happy to hear Amos here speaking judgment against Judah. I’m sure they’d feel a bit vindicated, even if deep down inside they knew Abijah was right. So, with that background of Judah and its relationship to Israel, that sets us up to talk now about this sin that Amos speaks out against in Judah. Look at verse 4. There are two descriptions of their sin. Let’s look at the first part first. Verse 4, “Because they have despised the law of the LORD, and have not kept His commandments.” This reference to the law of the LORD is so important. When you read that, you should think Mosaic covenant. This was often a shorthand way to describe the Mosaic covenant, to refer to it as the law. The law given through Moses had many commandments and stipulations. To be in good standing in the Mosaic covenant as a nation, the people needed to keep the law with all its many commandments. But here, Judah is said to not be keeping it. They were in violation to the terms of the covenant. You’ll notice that this language of breaking the law of the LORD is not there with the other oracles we’ve studied. This again comes back to the idea that Judah was in covenant with God, in a way that these other nations were not. That doesn’t mean that the nations were excused for their sin. No, we said that several weeks ago. God holds these pagan nations accountable even though they’ve not received the written law. The law was written on their hearts and so they needed to keep it. That’s why it can talk about their number of transgressions; they have in fact sinned. But with Judah they have more than just the law written on their hearts. They have the Word of God which includes the Ten Commandments. They have the law delivered through Moses with all its many precepts and statutes. We are accountable for the light of revelation we’ve received. Judah had received much revelation. Sadly, God says here through Amos that they’ve violated the covenant. This was, of course, the typical job description of a prophet of the LORD at that time. They served as covenant lawyers to announce to God’s people when they were in breach of the covenant. Verse 4 speaks of this in terms of the heart. It says Judah has “despised” the law of the LORD. They despised God’s laws. They didn’t value it then in their hearts. Leviticus 26:15 speaks like this before listing a bunch of covenant curses that would come to the people if they did this: “If you despise My statutes, or if your soul abhors My judgments, so that you do not perform all My commandments, but break My covenant…” It then goes on to list various covenant curses. But that statement back in Leviticus was the exact warning given the people as they entered into covenant with God. Don’t let your heart fall into this state of spurning and despising God’s law. Leviticus says that if you do, and subsequently break the commandments, then you are breaking covenant with God. Well, Amos is here announcing that they didn’t keep that warning from Leviticus. Their hearts had disregarded God’s laws and the result was disobedience and ultimately covenant breaking. Now they face divine judgment because of it. As a side note of application here, there is certainly a point here that calls us to be faithful to our religion and faith on its own terms. We are not surprised when pagan peoples live like pagans. Yet, those who call themselves Christians should not disregard the teachings of Scripture so they can live however they want to live. And yet isn’t that what happens all the time? People in the church despise God’s laws on divorce when it suits them, and so they chose to not keep them. People in the church despises God’s laws on sexuality, so they chose to disobey them. People in the church don’t like to have to set apart a day in seven as holy unto the Lord and so they break that commandment. I could go on and on. This passage reminds us that God is not blind to all this happening. Even if you hide it from the church, God sees. So far Amos has been speaking against all these outsiders, but then he turns to the wayward people of God. By speaking to Israel about Judah, its somewhat akin to us thinking today about various wayward denominations and churches where these sorts of things are going on today. It calls such wayward churches, where such things are tolerated, to repent! Of course, what someone needs in this situation is to replace despising God’s law, with loving God’s law. Psalm 119:97 records the psalmist saying, “Oh how I love your law! It is my meditation all the day.” That’s certainly an attitude that we should all espouse. But if we are honest with ourselves, we should remember our heart’s failing with that. There’s only one who could sing “Oh how love I your law” and mean that in the full and perfect sense of those words. That’s our Lord Jesus, the Christ. He not only loved God’s laws in the full, but he kept them in the full. Jesus was in fact born under the law and fulfilled the law in order to redeem us who’ve fallen short of the law’s demands. And so, while we put ourselves in Israel’s shoes for a moment and hear about Judah not loving the law like they should, we could be tempted to just point the finger at those churches and denominations today that have demonstrated such despising of God’s laws today. We could think highly of ourselves and look down on others. And yet I would encourage us to see that the core issue exists for all of us. None of us value highly enough God’s laws for our lives. None of us treats the Word of God and its teachings on how to live as holy as we should. Let us see that we need Christ’s heart and soul for the law to be within us. The good news is that for every true believer, this is exactly what God is forming within us. He is forming Christ within us, Galatians 4:19. Let us daily repent of how we don’t love his laws like we should, and look to his transforming grace that gives us the heart of Christ in this regard. In our final point, let’s looks briefly at the other part of Judah’s sin here. The end of verse 4 says, “Their lies lead them astray, lies after which their father walked.” This should be read in context with the previous point. Why did they despise the law of God and live in disobedience to it? Because they believed lies they shouldn’t have. This is surely a reference to false prophets coming to Judah and speaking to them things that were not in accordance with the truth of God’s Word. We see this mentioned elsewhere in the Old Testament as well. For example, passages like 2 Kings 10 mention the prophets of Baal that were among God’s people. Why would they have such prophets among them? Why would they listen to them? Obviously, the prophets of Baal were telling them to worship and service the idols of Baal. Such were evil words from such prophets and should not have been followed. Sadly, they were. Similarly, you have passages like Jeremiah 23:14 that speaks of this going on in Jerusalem, “But in the prophets of Jerusalem I have seen a horrible thing: they commit adultery and walk in lies; they strengthen the hands of evildoers, so that no one turns from his evil; all of them have become like Sodom to me, and its inhabitants like Gomorrah.” Notice the language there again of “lies.” It’s saying that the false prophets that were among them were lying to them about matters of morality. Again, we see this today. There are such false prophets today within so-called Christian churches that teach lies to the people. For example, they say things like it’s okay for Christians to join in the culture’s redefinition of marriage. They teach that it’s okay because God is a God of love and he wouldn’t want to keep anyone apart who loves each other. That’s of course the easy example to point to. But there are so many churches today where they have leaders teaching these false teachings. They teach the people that it’s okay to disregard this or that biblical truth. But these false teachings are lies of the enemy. Jesus said that Satan is the father of lies. He deceived Eve in the garden with a lie. And he’s continued to work this strategy down through the ages. Verse 4 reminds us of the generational aspect of this. It speaks of the people walking after the same lies that their fathers walked. In other words, the danger of these false teachers is that there message takes root. Whole churches or schools of thought get developed based on these lies. One generation passes the lies onto the next. I think of in the mainline denominations that have given into theological liberalism. Most of that began well over a century ago. Those mainline denominations that have gone liberal continue now several generations later living in the same lies. They continue to teach those same lies. And of course, we could point to the Protestant Reformation. As we hit the 500th anniversary of the Reformation, we see that most of the doctrinal concerns raised then and there have continued on from one generation to the next in the Roman Catholic church. Those lies keep getting passed down. Again, in the face of such lies, let us hold fast to the truth that is in Christ. Jesus prayed for us in John 17:17 that we would be sanctified in truth; and that the Word is truth. Similarly, remember how Paul talked about battling this father of lies. He said to find our strength in the Lord with the whole armor of God. That armor included the belt of truth and the sword of the Spirit which is the Word of God. Let us combat the enemy’s lies with the truth of God. And let us not only point the finger at others. Let us also pray for perseverance and faithfulness and ongoing reformation for ourselves. Let us have confidence in such prayers, because we know to whom we pray; we pray “to him who is able to keep us from stumbling and to present us blameless before the presence of his glory with great joy.” Amen.